Good quality childcare for all is common sense. It helps parents return to work, especially women who often take on the biggest caring responsibilities, and opens up children’s life chances through investing in learning and development through their early years. However, a Tory Government intent on austerity has left parents paying the price as Sure Start funding is slashed and nurseries become more and more expensive and out of reach for many families. And these cuts are impacting the most disadvantaged. Children’s centres are supporting parents who are in difficulty, so when their funding is cut it is those families who miss out the most. Underfunding of the 30-hours free childcare is having the greatest impact in the most disadvantaged areas, as shown by an investigation by the National Day Nurseries Association. British parents pay more for childcare than almost any other developed country, with couples spending on average a third of their combined salaries on pre-school care. In London, this problem is even more acute, with parents in the capital facing costs 36% higher than the rest of the country for a part time nursery place. Good quality childcare should be a right that every parent and carer can enjoy, not a privilege reserved for those families who can afford it. As shadow early years minister, I’m really proud that under Labour’s plans, we will offer all 2, 3 and 4-year olds 30 hours of genuinely free childcare, and additional subsidised hours on top of these for low income households. However, cost is not the only issue facing the sector. Government policy has commercialised the childcare sector, with the majority of provision in England now from profit maximising businesses. Big nursery chains are squeezing out diversity and choice from the sector, and despite fees increasing, these private nurseries are squeezing staff wages too. Wages have stagnated below inflation in the sector, with increasing numbers of employees paid the minimum wage, while the costs for parents has consistently risen faster than the rate of inflation. On average, early years professionals earn less than half the median hourly wage of qualified teachers. In December last year, I spent time learning about the co-operative alternative to high cost, private nurseries. I visited two co-operative nurseries which are showing that there is a better way to deliver high quality, affordable childcare – Grasshoppers in the Park and the Co-operative Childcare in Maida Vale. These two nurseries were very different in style and size, but shared a core set of co-operative values which they applied to the children’s learning, the way they treat their staff, and the way they involve parents. Grasshoppers is a small parent-led co-operative in Hackney. It was set up by parents who all have a say in how the nursery is run and can reduce their fees by contributing time and skills. Staff are paid the London Living Wage and are well qualified, and the day-to-day ratio of trained staff to children is higher than the government guidelines. My visit was eye-opening – many of the parents were self-employed, so the participatory structure enabled them to flex up and down the cost and timing of their childcare to fit their irregular work patterns. Staff reported that they really valued the parents’ contribution to the classroom as many brought interesting skills, cultures and languages, enriching the children’s learning. Because parents have a say on how the nursery is funded, they voted to have different fee levels for high- and low-income families, to widen the appeal and access at Grasshoppers. The following week, I went to the Co-operative Childcare in Maida Vale, run by Midcounties Co-operative. In many ways, it couldn’t have been more different. Where Grasshoppers had 15 or so children attending the day I was there, Maida Vale caters for over 100 children. However, the ethos of the nursery was very much the same – empowered staff, engaged parents and well looked-after children. Parents can be members of the co-operative, which means they receive a share of any profits as a dividend, keeping the service more affordable. Both visits highlighted for me the value in co-operative approaches to childcare, but also many of the challenges that are faced by alternative providers in a market dominated by the private chains. To understand the sector better – and to help develop ideas to enable it to grow in line with Labour’s pledge to double the size of the co-operative sector – I hosted a roundtable in Parliament. I was pleased to welcome a great diversity of providers to take part, from Childspace Brockwell, a small long-standing parent-run nursery in Tulse Hill and the Children’s Allotment in Oxford where a group of parents are taking on a disused building and allotment to run early years childcare, food growing, outdoor education and afterschool clubs, to Caboodle CIC, a social enterprise in Bristol working on plans to offer self-employed mums, dads and carers desk space and flexible onsite childcare. We also heard from the New Economics Foundation and Peabody housing association who are working together to develop parent-led solutions on housing estates where there is a shortage of affordable childcare. I am clear that these innovative co-operative approaches could make a greater contribution to our early years provision, complementing local authority provision and reducing the stranglehold of the private sector on early years – whether it’s providing affordable, inclusive childcare in areas where low cost nursery places are scarce, or providing a flexible alternative for self-employed parents, or giving parents and staff a greater voice in how the service is provided. 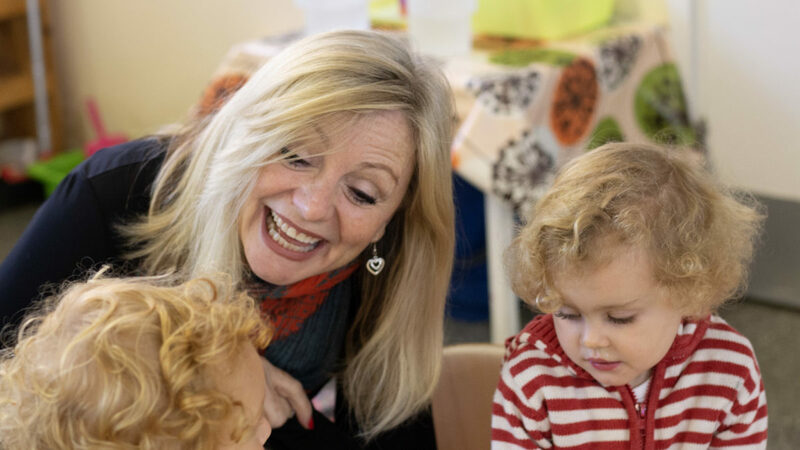 There are also wider lessons for the childcare sector to be learnt from co-operative approaches – regardless of whether a nursery is for-profit or not, parent voice and staff pay should be at the heart of how nurseries are run. Providers should be accountable, with transparent decision-making and ways for parents and staff to participate. This year, I am looking forward to continuing to engage with the co-operative sector to develop the detail needed to ensure that under a future Labour government we have a fair, affordable and inclusive early years offer which genuinely empowers parents and staff, which focuses on the best quality education and care for all children, and which has our movement’s values and principles at its heart.